This is a difficult subject for a lot of people, as getting any kind of help with a problem flies in the face of the British 'stiff upper lip', 'make do and mend' philosophy. This means there is often a psychological barrier to getting help, as well as a physical one, when you don't know where to start or who to approach. In this post I hope to tackle both, looking at what aids and adaptations are available and who can help you get them, as well as dealing with the emotional side of taking the step to seeking and accepting help. 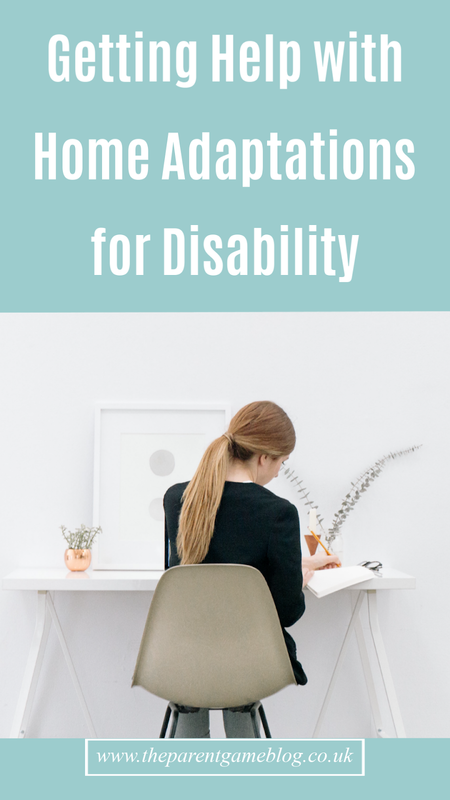 If you are struggling at home, but are used to soldiering on, maybe it's time to think about some simple adaptations to make life easier. It becomes second nature, when you are used to struggling with something, to forget that it doesn't have to be that hard. 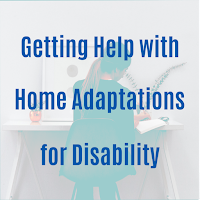 For a person suffering from pain or immobility, life at home can consist of a series of small difficulties throughout the day, everything from getting dressed to using stairs, even making a cup of tea, can be a real challenge. None of them are impossible, but if one struggle leads to another, and then to another throughout the day, it becomes exhausting and depressing, but it doesn't have to be this way. There are a wealth of ingenious gadgets and gizmos out there to assist with a lot of the difficulties disabled people face and I've included some examples below. This is just a small selection of ideas that can help with issues surrounding limited mobility, but it's not an exhaustive list and it may be worth requesting a visit from an occupational therapist if you have a specific need that isn't mentioned. You can buy your own adaptations and equipment from a private supplier and there are lots of options available, both on the high street and online. It pays to shop around and also to get advice from your health professional, or an occupational therapist, to make sure you know exactly what you need. If you are looking for expert advice and a quick service, Mobility Plus can supply wet rooms and adapted showers or baths. They offer free advice on how to best meet your needs, as well as a short installation time, and can even offer finance options too. However, it might be possible to apply for a grant to cover some, or all, of the cost. More information on grant applications can be found here. Some thoughts on asking for help. You're entitled to it, it's what it's there for, and nobody would want to think that you were struggling every day to do something that could be made a lot more manageable relatively easily. Life is for living and everything you don't have to struggle with is energy you can spend on something more fun and rewarding. The fact is, you don't get any extra points in life for battling through when you don't need to. and, even if you don't see yourself as disabled, or claim disability benefits, if it's an issue for you, you may be entitled to help. You don't have to have a council house in order to receive help, but the amount and type of help available will vary. Your first port of call could be your doctor, or other health professional, or you can approach your local authority direct. 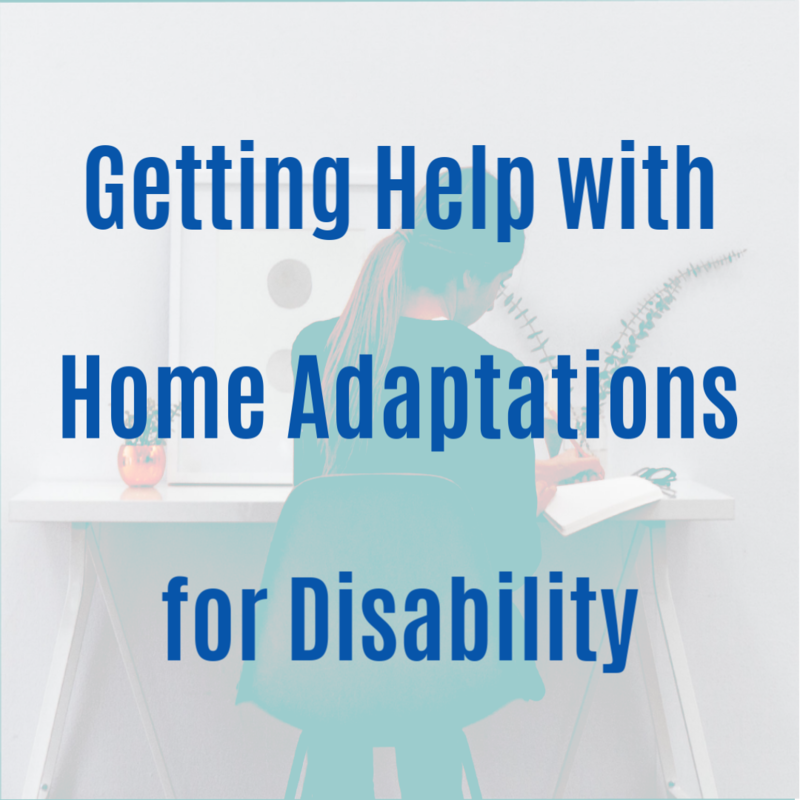 It will be the local authority who organise and provide adaptations if you qualify and what you could get varies around the country, so I can't be too specific about what's available. This is why it doesn't hurt to ask, since the worst they can do is say no and it is sometimes surprisingly easy to get some of the smaller equipment required. Bigger adaptations may require a grant application, but your local authority can advise you on this. The Citizen's Advice Bureau has more information on what might be available and how to apply. A few years ago our daughter asked her health professionals for a bath chair and stairlift since she was bedbound and was refused on the grounds 'she would become relaint' on them. Err, she was stuck in a bed unable to have a bath or go downstairs, so she was already worse than reliant on aids, but the 'experts' said no. When her condition worsened and she was hospitalised the coin then flipped totally and she wasn't allowed home until the adaptations were put in place. She is now a wheelchair user in her own disabled-friendly property and it totally reliant on her aids plus some extra help, but now she has a life! I only got help after I ended up in hospital too, so maybe there is something in that, which is all wrong of course. If your poor daughter was bedbound, she was reliant on them to have a quality of life anyway, whether they let her have them or not, silly people! All they are going to do is make her life a bit easier! I'm so glad you managed to get her the help she needed. I hear so many stories of people who don't know where to start. In some areas, it doesn't seem that easy to access the help, or even to find out it's there, they don't always make it easy! Well I think I will have to visit my CAB... one thing I have learnt is if you have your disabled badge that you can get the cat of items that might be needed or something like that! It's surprising what's available when you start digging, good luck!